We already know that the PhD Market is saturated, and articles that “promote awareness” or point out the PhD-Industry Gap are a dime a dozen. What’s missing from the equation are the solutions. 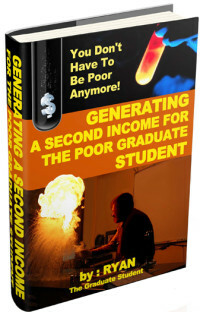 The reality is that the first job that you obtain directly out of graduate school is the most crucial. It is also the most difficult. Therefore you need to be aware of all of your possible options. The odds are against you. You look like a science person. You want to go into industry but they look at you as an academic with only one marketable skill: bench science. The doom and gloom articles aren’t going to help you get anywhere. And frankly, I think we are all just tired of reading them. Many experienced working professionals are aware of what the market looks like, but as long as they are employed, who wants to think about what they could have faced? The newly minted PhD is experiencing the hardships right now and searching for answers. The reality is that many just don’t know how to provide real practical solutions and the attitude is that “hard work” will get you to where you need to be. And it’s “good luck” to you because you are entirely on your own. If you could rewind and go back a few years maybe you wish you knew all this sooner rather than later. Maybe you finally decided to join the 85% club and face reality (only 15% will land a tenure-track position within 5 years). But you need to put the past behind you and move on. 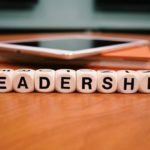 The bottom line is that if you have the right personality, drive, leadership, and strong interpersonal skills and the ability to work well in a team environment, then breaking into a field of your choice is very feasible. You just need the know-how. This ‘right personality’ will be valuable as you work in a team and develop your needed skill set(s) that will carry with you into your future career. 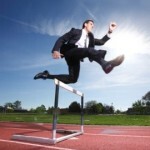 Although there is a glut of capable job seekers, do not let this discourage you. Before we dive deeper, you need to understand that there is no set career path, and everyone’s career path is UNIQUE. Many working professionals stumble into their current career path by accident, chance, change of interests/goals, life situation, or series of occurrences. But hopefully with the advice given, you will find your calling. If you ask, let’s say an experienced manager in industry, how they got to where they are today-many will tell you that they did not plan on jumping into their field directly from their PhD. That’s because the majority of PhDs don’t really do any career planning. You’ll jump into the postdoc only to leave after you spent X amount of years figuring out what you truly want to do. During graduate school, the focus is on getting the PhD and the attitude is that things will just unfold and work themselves out. 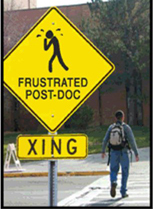 This can continue throughout the postdoc position(s). There is a sense of entitlement among PhD’s. Their ego takes ahold of them. “I worked this hard, therefore I deserve this position or X amount of salary.” Guess what? You have to pay your dues just like everyone else. The PhD doesn’t guarantee you the job, and although you may have published a Nature paper, it doesn’t add any value to a company or client (and when you hand your business card to a customer, they see your name, company, your position title, letters next to your name, and nothing else). The real question is can you work well in a team? Can you communicate effectively without putting yourself above others? Once you realize there is a bigger picture than just YOU and how you are just a piece of the puzzle, than you will finally start to see the benefits. Be someone who under-promises and over-delivers. There is also a backwards strategy that many PhDs take on during their career search. They focus on the position and match that up to the company. The problem with this is that it takes the focus off how you can add value to a company. It becomes more about you. The point is that if the position that you obtain within the company will add the most value based on your strengths and contributions, then it is the best fit. Therefore, when doing your job search focus on the company first, how you can add value, then backtrack to find the correct position. This means you should have multiple roles in mind that play on your strengths and not just one. If you haven’t figured this out yet, here is what you missed earlier. When it comes to a resume or cover letter, there is too much emphasis placed on these two items. They are simply a tool to get you an interview and nothing else. Once you reach that interview stage, you need to get over what is written on your resume and focus on the value that you can add to a company. Not brag about what you did with your thesis work. No one really cares to hear about your thesis anymore. 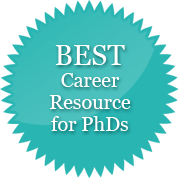 A PhD is a training program to help you develop as a scientist and launch your career. If you are banging your head against the wall that’s probably because you aren’t doing it right. Or you just lack the marketable skills to crossover (which is discussed later in this article). Or it could be a combination of both. You can beat the odds. Frankly, you have to beat the odds. The economy is exacerbating anxieties. A survey done in 2012 in Nature shows the concerns of many scientists around the world as the global recession squeezes research budgets. 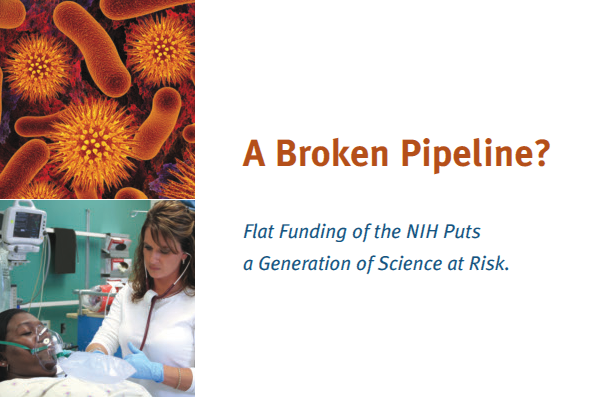 The shortfall in grant funding is nothing new, but many will soon realize that industry offers many attractive ‘alternative’ career options. On the bright side, the unemployment rate for PhD’s is below 4%. But getting a PhD doesn’t mean that you are immune to economic hardships or the struggles of finding a job. Half of PhD candidates in the life science and engineering field still require seven years or more to complete their degree. If you have invested all this time and have decided to finish, don’t you want to see a return on your investment without ‘giving up’ even more years of your life? In other words, if you don’t plan on staying in academia, why are you spending 5+ years as a postdoc? So the question becomes, how can you beat the odds? What can you do NOW as a PhD student or postdoc that will give you the marketable skills to crossover? And when you gain these marketable skills, how can you couple this with NETWORKING so that you are tapping into the “hidden job market”? Now that you are aware of the problems and what you will be faced with or are going through, there needs to be solutions that give you an edge. 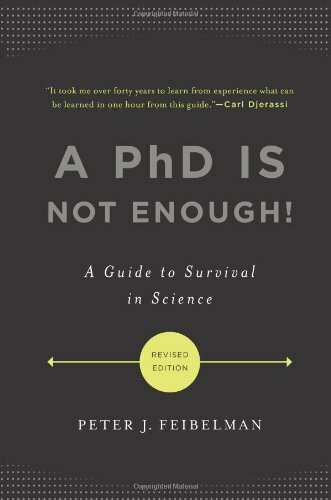 70% of life science PhDs pursue a postdoc after graduation (based on 2010 data) which means that PhDs are unsure of their careers and/or unequipped for a nonacademic career. 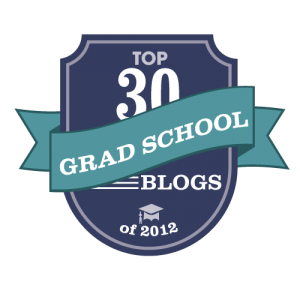 40% of graduate students are indifferent or unsatisfied with their graduate school experience. Current PhD programs will continue to train primarily for an academic career. But this is a ‘false hope,’ and you may be in your mid-30’s until you’ve come to realize this and decided to make a change. It is time that Universities, faculty, and professors stop looking the other way when it comes to fixing the problem. 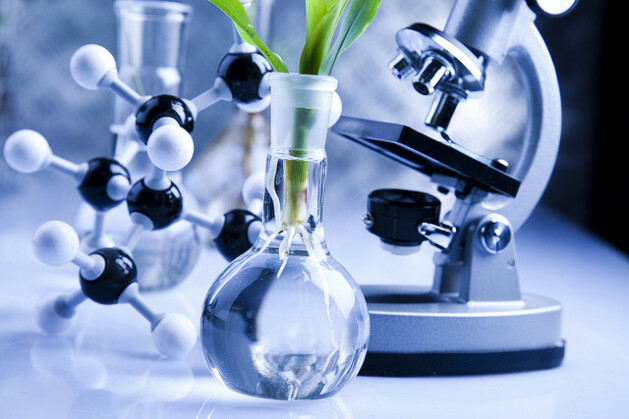 The Biotechnology and Life Science Advising (BALSA) group was founded in 2010 by a group of dissatisfied postdocs and graduate students. The result is that through their collaborative efforts, they have developed a model where post-docs and graduate students work with startups in the form of 6 to 8 week consulting projects. The result? BALSA has worked with 37 companies and 53 projects. Graduate students and postdocs are coming out with real world business experience. Even researchers with NO prior business knowledge are making valuable contributions to both early and late stage companies. 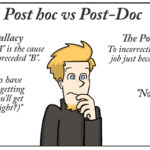 As a PhD student or postdoc, you are trained to analyze and think critically. The best part is that BALSA’s partnership with Washington University in Saint Louis and the Office of Technology Management has provided Universities and Principal Investigators as a means to commercialize their work. Although BALSA’s efforts look promising, we are still left with the question as to whether these efforts can be expanded on a national level. Also, are they sustainable? Will Universities and Professors push more for the adoption of these efforts? Only time will tell. The bottom line is that you aren’t going to sit around and wait for BALSA to come along to your University. So in the meantime, you have to go create these opportunities on your own. BALSA may give you hands-on experience (via projects) with industry challenges, business concepts, competitive intelligence and market analysis, technology due diligence, regulatory affairs, project management, and licensing/business plan development. Does this sound like a checklist of wishful thinking? Well, there is nothing stopping you from gaining some or a combination of these skills and experience during your time as a graduate student/postdoc. There are many consulting opportunities available for scientists. 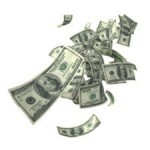 These many options span freelance work, working for a consulting firm or even starting your own consulting company. Whichever that may be, I would highly recommend doing freelance consulting work during your PhD. This could shuttle you into a management consulting position upon graduation. Find a unique skill set that you are good at and offer your services to a company. If you need an example, check out how a graphic illustrator/scientific visual communicator went freelance during and out of graduate school. 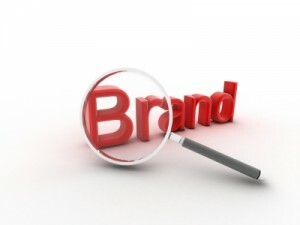 Another example is self-taught SEO or social media marketing consulting. Many companies (including start-ups) are blogging and doing digital marketing, and learning the ropes of Twitter, Facebook, LinkedIn, etc. 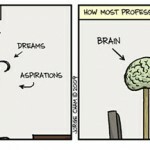 If you are already running a professional blog (all PhD students should! ), you have already learned how to effectively run social media and marketing campaigns, and chances are you could do part-time work offering your services. You are also developing your technical writing skills in addition to sharing scientific ideas and making worldwide network contacts. **Management consulting can be an excellent way to put your analytical and scientific training to use while you develop your business expertise. If you have the passion to innovate, drive change, and help companies be more successful, it might be the career choice for you. You will learn how to lead teams, manage people, and take on challenging and interesting problems. The connections that you make with top business professionals will also open doors to future career opportunities. And, your hard work and efforts could also have a huge impact on the future direction of the company. As mentioned in a previous article, the most practical solution for many is to obtain a paid internship (ideally) during your time in graduate school. Internships are CRUCIAL and I cannot stress enough that graduate students and post-docs should take a summer off (or balance the internship 50% and graduate school 50%) and obtain industry experience. That way you will come out with real-world industry experience and some marketable skills. You need to negotiate and leverage this in any way that you can. A lot of companies are willing to try you out for a short 3 months. That initial spark will come from their interest in you via informational interviews (see below). Chances are if they like you at the end of the internship, you might also have an offer waiting for you upon graduation at that same company. The first step to land an internship position is to do informational interviews and start networking. You can read more about informational interviews here. Read: How To Network and Add Value to Yourself and Others to get a good starting point. Just because internship positions aren’t posted doesn’t mean they can’t be created or they don’t exist. Ask around and you’ll be surprised what you will find. Internships also boost Postdocs’ skills and really add to their marketability. The challenge as any might imagine, is getting your PI to agree. 3) Consider auditing or taking business classes, participating in workshops, or leading/organizing business events on campus. If you are a science person, then take a business class and start networking with business professors and MBA students. If not business, find a secondary interest and step out of your comfort zone. Get involved in patent law, tech transfer, computer programming, or entrepreneurial classes. This will come down solely to you and your interests. Many business professors will allow you to sit in their class even if you aren’t taking the class for credit. Entrepreneurial management classes for example, will expose you to writing business plans and doing SWOT analysis, and growing local starts-ups via group projects. 4) Start a side business, professional blog, develop a product, or find like-minded individuals preferably with an entrepreneurial mindset or business drive. 5) Network every week. Then network some more. Did you catch that? You need to network to create opportunities. Then you network to create more opportunities beyond that. During or after PhD, it doesn’t matter. If you lack marketable skills, you’ll need to network to obtain them or find out what those specific skills are. Even with internship experience under you belt, you will need to network beyond the PhD to land an industry position. Obviously, it is MUCH easier to use the power of networking when you already have the marketable skills to find an industry job versus networking from scratch (i.e. skipping Step 1 and jumping right into Step 2). But whatever stage you are in, it is never too late to start. There is no stopping when it comes to networking and the truth is that it is a lifelong process and requires continual effort. 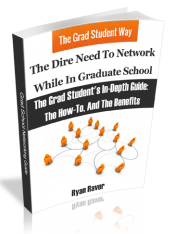 PhD graduate students and postdocs simply don’t network enough. How can you understand the needs of a company if you don’t speak to people? How can you know the industry, the market, and the customer? Chances are a startup company in your area has a need. What value can you add to fulfill that need? This ties into #2 above. There are many more examples. 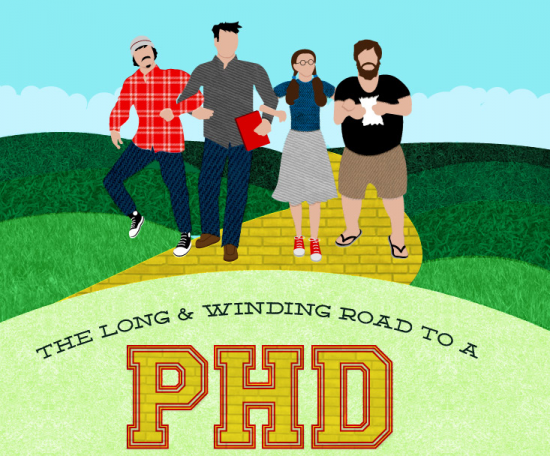 The reality is that it is not impossible to create opportunities, take on an internship, do consulting, and/or run a professional blog during your PhD and come out with a huge leg up upon graduation. Those that do #1-#5 or a combination thereof will stand out from the crowd and will most likely beat out other PhD students who focused on nothing else but getting their degree. Chances are you will land a job in industry and work in a fulfilling career. Gaining the marketable skills to crossover is no easy task, but with hard work, patience, and the right connections anything is possible. Keep pushing and you will see good things come your way. Email me with any questions. Future article will be on how to transition into Product Management, Marketing, or Sales. So.. Where will a biology PhD take you? 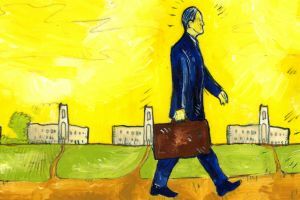 A faculty job is now the “alternative” PhD career as less than 8% will become tenure-track faculty. 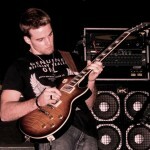 Ryan: I am really enjoying your posts. A key issue is your feeling that, when you finish grad school, your only marketable skill is bench science. Grad school is (should be) about more than developing bench science skills if you include critical thinking, writing, presentations, collaboration, etc. A frequent failing of our system is that students come out of graduate school with bench skills (technical skills) but not as much in other categories. You will need these other skills regardless of your career path (academic or otherwise). I recently wrote a column entitled “Career alternatives, not alternative careers” (see http://www.asbmb.org/asbmbtoday/asbmbtoday_article.aspx?id=49374 ) which catalogs the 25 graduate students who have trained in my laboratory over the past almost 30 years. Seven of these students are in academia while 7 more are in non-academic research careers and 8 are in non-research science careers. From my perspective, there is little distinguishing the individuals in these groups other than preferences and the availability of some opportunities along the way. In each career path, the students needed to think and communicate clearly, both to get the positions and to succeed at them. In many (but not all) cases, the students decided relatively early in their graduate careers where they wanted to head although, in many cases, they seemed to feel uncomfortable sharing their thoughts with me if they were considering non-academic careers. I hope this is changing for all concerned. Of course, it can still be a challenge to get a good sense of what non-academic careers are like when you are in graduate school since you are surrounded by academics. Again, I hope institutions will continue to try to address this and students should band together to insist on these opportunities. I guess when I say “one” marketable skill as mentioned in this post, I am grouping a lot of these skills sets that come along with the bench science and referring to is as “one”. I do think the PhD is very valuable and serves as a great training program to help you in future careers. To be a good scientist, obviously you must also be good at many other skills such as data analysis and synthesis, critical thinking and problem solving skills. Also, good communication and presentation skills are key and will be very important when working in a team in industry. What this tells me specifically is that PhD programs are not meeting the training demands of industry (position-dependent). AND/OR companies are being lazy and are not taking the time to develop their employees. They are spoiled and expect PhD’s to enter into the field with very specific skills and to hit the ground running. The only way to obtain these skills in absence of development or training on the job from an employer (once you make the cross-over) is to take on an internship, which I mention in this article. Internships are viewed as training on the job, and are an excellent way to get your foot in the door. How I see it, needed skills sets and the cross-over is very POSITION dependent, but there are usually multiple jumps you have to make. First, academia into industry or government (for example). Second, industry (science) into business (if you are trying to step away from the bench). Typically, companies will hire you based on what you did last. This means that if you were a scientist in academia, you will most likely crossover as a scientist in industry. Once you have established yourself within the company, only then can you cross-over into other fields like business-related positions. This is not always the case (as many have a unique skill set, past experience, personality, or the right connection) and I have seen a handful make a “double jump”. Not impossible, but still very hard in today’s day and age. I know this article was posted some time ago but I still wanted to say, THANK YOU for writing this 🙂 I’m an ex-PhD student and I’d never heard that bit about the PhD Industry gap before. It reflects perfectly the reason I eventually left my program to explore other opportunities. You’re welcome. Thank you so much for the kind words and comments. Do you know any article that will do the same very good job as your article does to enlighten PhDs, but for younger students starting their science master degree? The same problem, or almost occurs. I would like to give it to my son. I love reading your articles. I am a recent bio bs grad who did a premed track. 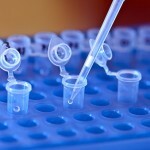 I really want to get into product management with in the biotechindustry. I feel like I should get more industry experience before going back to grad school bit don’t know exactly where to get it. I’m looking for opportunities that are entry level yet still provide some business exposure. I don’t know that sales is a great fit for me but I haven’t seen many assistant to the product manager positions open up. Is quality assurance or customer service a good avenue? Do you need a manufacturing background to be a application scientist?